1 Metcalfe Avenue, Carshalton. SM5 4NR. Free admission and accessible parking. QEF Mobility Services is delighted to be hosting the first in a series of free-to-attend Get Going Live! events which focus on younger people with disabilities, novice drivers and individuals that have become recently disabled. Get Going Live! was originally a popular feature of the national Mobility Roadshow which was held annually from 1983 up until 2017. Attendees to this relaunched exhibition will be able to safely test drive a range of accessible and adapted vehicles around a dedicated test track with qualified specialist instructors. 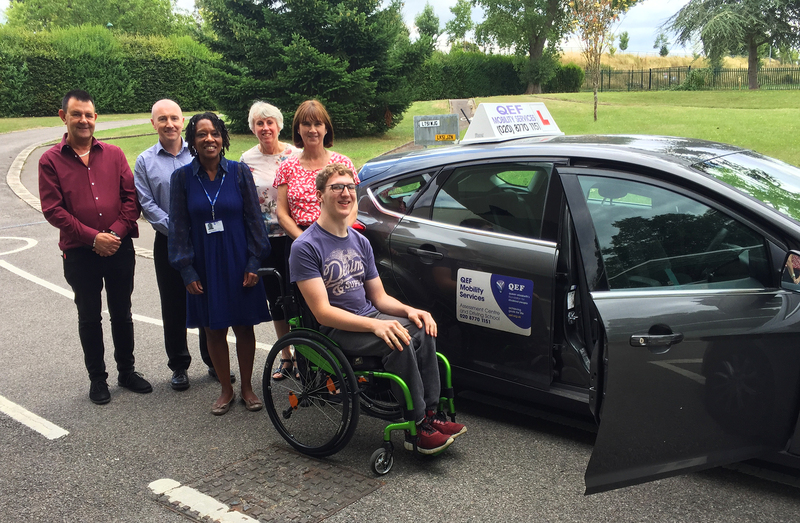 The event will provide the opportunity for visitors and their families, including teenagers from the age of 15, to try adapted driving for the first time and explore options for accessible motoring. Exhibitors at Get Going Live! will include: AAT GB, Adapted Vehicle Hire, Belmont Garage, Brig-Ayd Controls, Brotherwood, Elap, Ergomobility, Gerald Simonds Healthcare Ltd, GM Coachworks, John Preston Healthcare Group, Motion Healthcare, MERU, Steering Developments, QEF Independent Living Services, TGA Living, The OHMI Trust Charity, Transport for London – Travel Mentors/Accessibility, Shine Charity, Sutton Shopmobility and VASD.